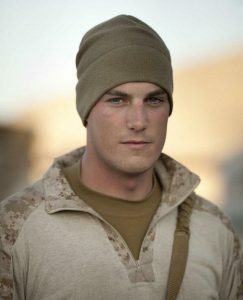 Add a video for "Lowry"
This Memorial WOD is dedicated to Conner T. Lowry, born February 6, 1988, who died during combat operations on March 1, 2012, while serving his country as a United States Marine in Afghanistan. "Conner always said “Live Life Large”. Proof of his motto is in his scores of friends, most of whom he described as “his best friends.” He loved as hard as he was loved. His adventurous spirit took him across the country, and eventually across the world as a Marine. And for every adventure is a T-Shirt, a photograph, and most importantly, a story. Lowry stories are always rich in detail, humor, and filled with a little mischief. Conner was tall, handsome, funny, playful, and giving. His heart was open to anyone in need, whether it was a friend who needed a ride or a fellow soldier who needed safety. It is this spirit that the Conner T. Lowry Memorial Fund hopes to nurture for future generations for educational scholarships and to assist veterans and their families in need." We first found the workout via Stone Age Athletic Club (Evergreen Park, IL) who created an annual memorial event at their gym featuring Conner's WOD.